It’s not a stretch to say that your website is one of — if not the — most important element of your inbound marketing strategy. Without it, there’s very little that you can do. Because of this, it’s essential to make sure that poor web design doesn’t frustrate your visitors. Content quality will not mean as much if visitors have trouble viewing your pages or finding what they’re looking for. This is why you need to make sure you focus on creating a user-friendly website navigation design. When someone visits your website, no matter how they got there, you’ll want them to spend as much time on it as possible. The more they engage with your site, the easier it becomes to nurture and eventually convert them. As such, you’ll want to make navigation through your website easy. Good website navigation design makes it easy to find links to your site’s main pages, as well as being able to navigate to those individual pages, conveniently. Even if you do have a navigation bar with drop-down menus, it is important to note that most users, today, tend to prefer scrolling. They’ve become accustomed to scrolling because of the way most social media channels work. Therefore, instead of visitors clicking through your drop-down menu, a scrollable menu allows them to simply move their mouse over the menu to make it automatically drop-down. This way, they don’t have to click three or four times to get to the page they want to go to. Alternatively, they can just scroll through their options until they find the actual page they want to click on. It’s a better idea to keep content on one page instead of breaking it up on multiple pages. Even if it’s a long-form piece, forcing the user to click on buttons at the end of each page that says continue to page 2, page 3, etc., is a hassle. Since they have to click to get to the next page, in addition to waiting for that page to load as well. Simply allowing them to scroll through the entire article will make your page more user-friendly. Growth-Driven Web Design – Is It Right For Your Company? Use a responsive design – Your website navigation design may be well thought out for your desktop users, but it may not translate well to mobile devices. This happens due to the fact that most websites use a horizontal design, whereas screens on mobile devices are vertical. By using a responsive design, your navigation menu can be designed to turn into a mobile friendly hamburger-style menu. Incorporate breadcrumbs – Breadcrumbs allow users to see what links they have followed to get to the page they are on. This makes it easy for them to backtrack to a previous page they were on if they got lost going through your site. Link logo to your homepage – Make sure that the logo at the top of your page links to your homepage. This makes it easy for visitors to go back to the beginning, without searching for a link to your homepage. Always display a link to your contact page – Displaying your contact information at the top of your page along with a link to your contact page makes you easier to reach. Make links easy to click for mobile – Use buttons for CTAs that are easy for people to click on when using mobile devices. When designing your website, make sure that you carefully consider your website navigation design. Easy to use and clear navigation will help to improve your user experience, thereby making it easier to keep visitors engaged and on your website. Although one of your main goals should be to capture as many potential leads as possible, it’s worth mentioning that not all leads are the same. Some leads are more qualified than others–and the last thing you’ll want to do is waste time trying to nurture low-quality leads when there may be other prospects that are ready to advance through the sales funnel. The way to ensure that you’re dedicating your resources to the best leads that are available is through the use of lead scoring. With proper lead scoring, you won’t waste time trying to convert a sale with a lead who still needs to read or view more content to make a more informed decision about your brand. Doing this not only wastes resources, but it also risks alienating the lead by putting too much pressure on them. On top of that, it allows you to ignore low scoring leads that aren’t likely to convert in favor of those that are. The closer they are to your buyer persona, the stronger a lead they become. Some of the information that can help you score a lead based on their demographic includes the industry they belong to, their company, where they are located, their age, their gender, their education level, their job title, and more. The closer they are to your ideal customer, the more likely they are to become a customer. The biggest challenge in scoring your leads based on their demographics is collecting the information you need to determine what their demographics are. You’ll want to ask certain questions in your online forms so that when they sign up for your email, you’ll immediately have enough information to score them based on their demographics. However, you’ll want to be careful about asking too much or asking questions that may be deemed to personal as this can scare leads away from submitting the form. What you can do is ask some basic questions on your initial form, then send out occasional surveys to help you gather more information. Page views – The more pages that a lead has been to on your site, the more interested they likely are in your brand. A lead that has explored your site is a much stronger prospect than one who has only been to one or two pages. Website visits – The more a lead visits your site, the more interested they are likely to be. It’s important to understand that a lead isn’t always going to be interested on their first visit. Specific pages seen – What pages the lead has been to matters. For example, a lead that has read through your product pages and that has visited your e-commerce page is much stronger than a lead who has only been to a few pages on your blog. Offers converted – Leads that have signed up for your email newsletter or who have downloaded free offers (such as eBooks or whitepapers) have likely developed a certain level of trust in your brand. Email engagement – Even if a lead has signed up to your email, it doesn’t mean that they are necessarily strong prospects. If they’ve never opened your email, it means that they may have just been taking advantage of one of your offers and aren’t actually interested in your brand. However, a lead that has opened multiple emails is more than likely interested. Social engagement – Leads that engage on social media with your brand, such as sharing, liking, or commenting on content, are likely to be strong prospects. These are some of the metrics you’ll want to use to score your leads. Keep in mind that you can give leads negative scores for certain demographic information you gather about them or certain behaviors (such as not opening your emails). This will allow you to identify both good leads and poor leads. What Are The Benefits Of Using HubSpot Marketing Automation Tools? HubSpot’s analytics tools can help to collect data across all of your marketing platforms and provide you with metrics that you can use to the benefit of your marketing campaign. For example, you’ll be able to see what blog posts are outperforming other posts based on metrics such as visits, social engagement, click-throughs and captures. You can use this information to determine what kind of content is more effective or what elements of your blog posts need to be changed. For instance, if you have content that is receiving tons of views but no click-throughs, it may be because your calls-to-action are poor. Marketing automation allows you to segment your email list, which makes it easier to personalize your emails and send more relevant content to your recipients. This is done by gathering data from your opt-in forms and using that data to segment your email list into different groups. For example, if you run an online clothing store, then segmenting your list into male and female will prevent you from sending content about women’s clothing to your male audience, which would hurt your ability to properly nurture leads through the sales funnel. The use of email segmentation will make your email marketing strategy more efficient and effective. One of the important aspects of a good content marketing strategy is making sure that you continually publish new content on a regular basis. Your readers are going to expect new content at certain times and if you don’t publish it on the same days at the same times, you’ll lose readers. Of course, remembering to manually publish new content, whether it’s a posting an article to your blog or sending out a tweet, is time-consuming. Marketing automation allows you to create your content and posts well ahead of time and set them to be automatically published at specific times on specific dates. One of the challenges that a lot of businesses face is having their marketing team on the same page as their sales team. 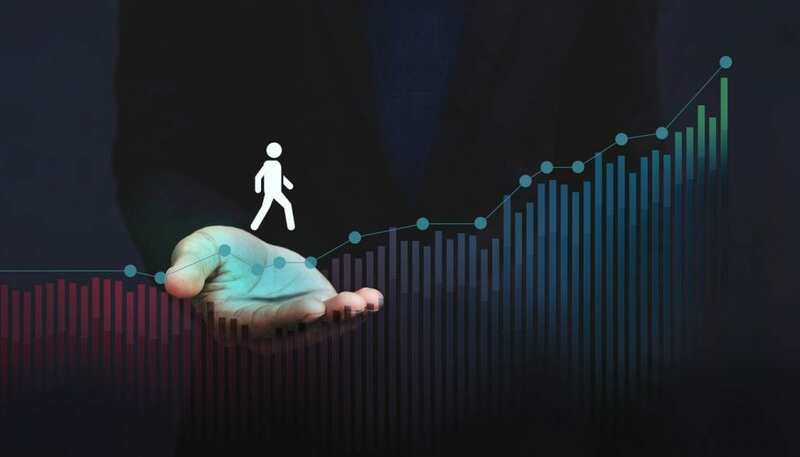 Sales personnel often don’t know what state of the buyer’s journey prospects are on, which makes their job more difficult — especially if they are sent leads that aren’t qualified. 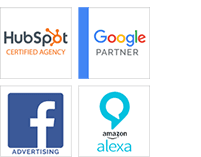 HubSpot marketing automation tools allow you to collect extremely useful visitor information, including their history of actions on your website, which in turn can allow you to send more highly qualified leads through to your sales team when they are ready. The use of HubSpot marketing automation tools allows you make more efficient use of your resources and gives you the opportunity to see exactly what is and isn’t working in your marketing strategies. You’ll end up saving a lot of time on smaller, more time-consuming tasks, which you can then dedicate to more important aspects of your marketing campaign, such as engaging with and nurturing your leads. https://stevens-tate.com/wp-content/uploads/hubspot-marketing-automation-4.jpg 483 724 Nicole Wagner https://stevens-tate.com/wp-content/uploads/STLogo-websml-biggerAM.png Nicole Wagner2018-06-14 08:00:002019-01-10 13:08:51What Are The Benefits Of Using HubSpot Marketing Automation Tools? One of the most important aspects of successfully nurturing your leads through the buyer’s cycle is understanding that each lead is different and that your marketing efforts need to be tailored to the needs of each lead. This can be quite difficult to do manually, which is why most businesses are turning to marketing automation. 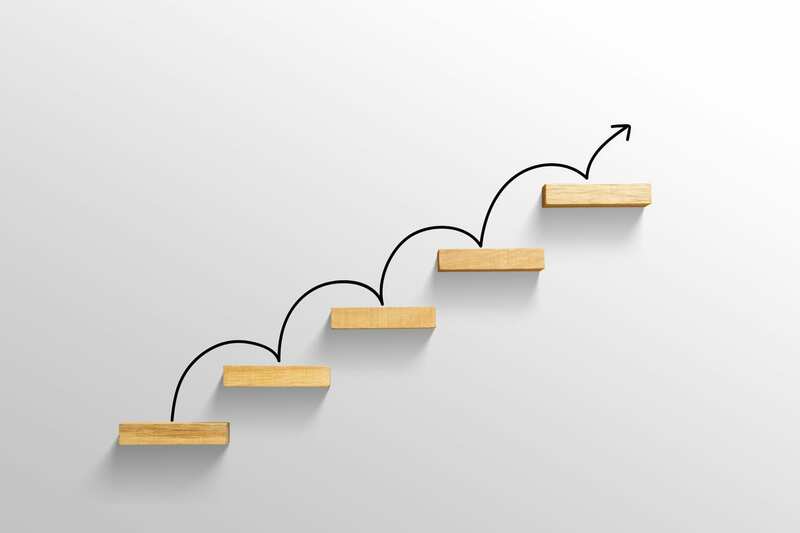 Marketing automation is an automated process that allows you to target leads based on their behaviors at different points in the buyer’s journey. It allows you to make your marketing more personal by delivering content to your leads that suits their needs or interests. This, in turn, makes it easier to build a real relationship with them, helping to drive them towards the conversion and closure stages of the buying cycle. Not only does marketing automation help free up resources, it makes your marketing efforts much more effective. How effective? According to one study, businesses that use marketing automation increase their qualified leads more than fourfold. So how exactly does it work? Take for example a lead that has just submitted a form from one of your landing pages opting into your email list. Using marketing automation software, this action can trigger an automatic email sent to them thanking them for signing up. It can be automatically personalized based on what landing page they converted from. In fact, you’ll be able to personalize your content to your email list by using the information that they submitted on the opt-in form. Using this information, you can segment your email list to automatically send content at specific times that’s relevant to their interests and needs. For example, if you’re a pet food company and a lead lets you know that they own a dog on their form, then you won’t want to send them content you’ve written about cats. Using automation, you can make sure they get the right content, which will not only help build your relationship, it will reduce opt-outs. If you’re uncertain as to the difference between marketing automation and CRM, be sure to read through our detailed article on the subject. Instead of sending emails out on scheduled dates to your entire email list by hand, you can schedule emails to be set out automatically by certain times on certain dates to certain segments of your email list, thereby improving your productivity significantly. Studies have proven that marketing automation does increase revenue if used properly. In fact, B2B marketers have reported an average of 20 percent increase in their sales opportunities as a result of using marketing automation to nurture their leads. By being able to target your leads more effectively with personalized content, you’ll reduce the number of leads that you lose. By being able to personalize your interactions with leads, you’ll improve customer relationships. Not only does this help with customer retention, it will help with building your brand reputation. Building good customer relationships can help to improve repeat business and can also generate positive word-of-mouth. Marketing automation software can help you monitor responses to your various marketing campaigns based on the specific parameters you’ve established for success or failure. This data can then be leveraged to improve future marketing campaigns. For more in-depth information, check out our post on the benefits of marketing automation. Marketing Automation has more benefits! Check out this article to learn more. There are many ways that you can use marketing automation. Besides using it to segment your email lists, it can also be used to provide data on what types of content helps move leads from one stage of the buying cycle to the next, which allows you to create higher quality content to attract higher quality leads. In fact, you can also use marketing automation to score your leads based on their behaviors on your site. Scoring leads lets you identify what leads have the best chance of converting, allowing you to more effectively use your resources to target those leads. One thing to keep in mind is that marketing automation isn’t just limited to your email campaigns or to your website — it’s channel-agnostic, meaning that it can be used on any platform. Read through our article on B2B vs. B2C marketing automation for more in-depth advice. Marketing automation is proven to be successful, which is why businesses of all sizes have started implementing it into their online marketing strategies. There’s no reason not to use it, all it will do is make your marketing efforts more effective and more efficient, thereby allowing you to capture more leads and close more sales. After recently re-watching the original Star Wars trilogy, I made a startling discovery. The first movie (for clarification, I mean episode IV) is all about marketing qualified leads and sales qualified leads. I know that sounds crazy but it’s (kind of) true! Just stick with me and by the end you will be convinced that I’m right. So let’s get to it. Think of making a sale for your business in the same was as someone accepting the existence of The Force. In the movies, The Force is an all-powerful entity that binds the universe together. It works as a power that influences people’s actions and decisions. Just like with sales, some things are in your control, but ultimately it comes down to the buyer/believer. If they are not susceptible to what they are hearing, eventually they will turn away. It is a salesperson’s job to minimize the number of people who turn away. That’s why it’s important to treat every lead different depending on where they are in their buyer’s journey. In Star Wars, getting people to believe in The Force is no different. This brings me to my first example. What Are Marketing Qualified Leads And Why Do They Matter? In the movies, people talk about the Jedi like they would monks following a religion. How many people do you know adopted a religion within the same day they heard of it? I’m assuming not many. Enter Luke Skywalker! In the movie, he has never even heard of The Force but after only a brief conversation with Obi-Wan Kenobi (and getting the coolest weapon in the galaxy!) we know that Luke is pretty open to the whole idea. He even seems perplexed that Han isn’t open to the idea of The Force while on their ill-fated trip to Aldaran. For this reason, Luke Skywalker is the quintessential example of a sales qualified lead. After only a short conversation, we know that he is willing to believe in The Force, even though he has seen no evidence of its existence. Later, Obi-Wan does show off the powers of The Force by using a Jedi mind-trick on a nosey Stormtrooper, but the use of it was both necessary and beneficial. Obi-Wan allows Luke to see the power of The Force but never refers back to that as a way to convince him that The Force is real. By allowing Luke to make up his own mind about whether to follow the ways of The Force was essential to his full adoption of the Jedi ways that would eventually lead him to destroying The Empire’s grip on the galaxy. Han is a different story. He isn’t openly hostile to the idea of The Force, but he comes pretty close to it. He chides Luke, telling him that he’s seen no evidence of an all-powerful force that binds the universe together. Even more surprising is that this is after he watches Luke deflect multiple laser blasts from a practice droid while blinded! Anyways, fast forward to the scene where the Rebels are preparing their attack against the Death Star. Notice that Luke doesn’t give Han a speech about why he should fight for the Rebels or that he’s morally wrong for not helping them stop a tyrant who has a weapon of mass destruction. This is the way your sales team should treat its marketing qualified leads. By not feeling pressure from Luke, Han feels unashamed about turning to his friend and saying, “may The Force be with you.” This is surprising because at this point in the film we are pretty sure Han still doesn’t believe in The Force. Though he may not believe in it, Han has progressed from questioning hostility to respectful recognition of The Force. And, as we all know, Han comes back and saves the day! Not because of incessant nagging, but because he was able to make the decision on his own. Without that level of freedom, Han may have taken his loot and ran away from the battle out of spite. Glad that didn’t happen! When thinking about sales and marketing qualified leads, it’s important to remember the human aspect of these concepts. I think that by linking these ideas to well-known and popular characters we are better able to understand how and why leads need to be treated differently. Remember, Luke Skywalker may have been The Chosen One, but he couldn’t have saved the universe without Han’s help. A successful business needs to learn how to effectively cater to both sales and marketing qualified leads. Ask yourself who is most likely to buy your product. What’s the company size and industry of your lead? What problem is your lead trying to solve? Do your leads have the authority and power/budget to buy? Focus on those with ability and authority to generate more sales conversions. When are they likely to buy? What are your lead’s other buying decision influencers? This is information yoru lead need before they commit to buy. Your marketing department should use the information obtained to nurture and close sales qualified leads. If you succeed in maximizing on the information you gathered, you will not only have sales and revenue but also reduced operational costs, as you will use less resources to obtain customers. The most effective way to nurture is to get as personal as possible with the help of tools like email marketing, telephone calls, one-on-one conversations, etc. Segment your target by their interests to generate results. Now that your sales qualified leads have matured into sales, you can choose to close the sales over the phone or personally, depending on how complicated your product or service is. Set up all relevant appointments if necessary, and ensure your customers feel appreciated. Many marketing tools seem similar and are often mistaken for one another. Two tactics that are often confused are drip email marketing and lead nurturing campaign. It’s true that there are similarities in the way they work. However, they are two distinct tactics that serve different purposes. You should have both in your marketer’s toolbox to use when appropriate, especially with attraction marketing. Let’s learn a bit about each tactic and when they should be used. Emails are a huge part of modern marketing. One email marketing option is email drip marketing. Named after drip coffee makers, this marketing tactic sends out emails at specific timed intervals. Time is the only factor used to indicate when an email is sent. Nothing else. When should you use email drip marketing? Educating prospects on all the products and services in your company’s portfolio. Keeping your brand in front of your customers while they are contemplating a purchase. Announcing new products or services for your business. Showcasing best sellers in your portfolio. A well-crafted drip email campaign can educate and inform your audience. However, done too frequently, or used only to pitch products or services, your audience may perceive these emails as spam. A lead nurturing campaign is not based on timed emails. It is based on the lead’s behavior. When a lead performs a specific behavior, it triggers an email with targeted information to be sent to your audience. These emails are designed to guide the lead through the buying process. The goal of the emails sent during a lead nurturing campaign is to deliver useful information at critical points in the sales cycle. A marketing automation system is ideal for lead nurturing. You can build full campaigns within the system that automates almost everything in the process. 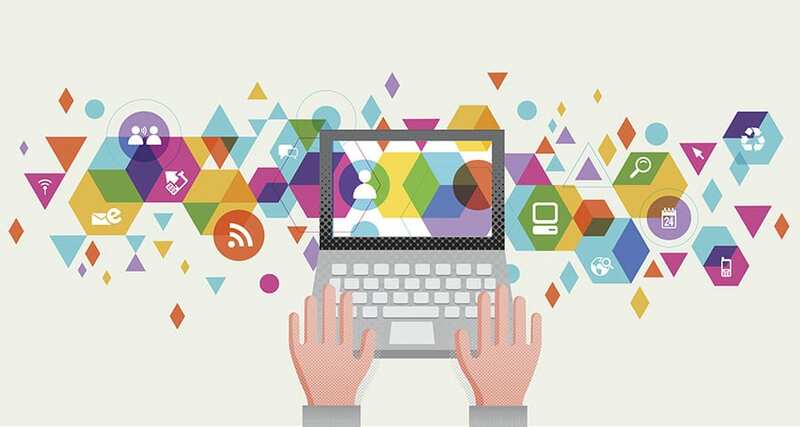 The power of marketing automation systems is their ability to capture key data. This then triggers the specific emails that nurture leads. Drip email campaigns and lead nurturing campaigns, if well designed, will do their jobs well. They both help leads engage with your brand and give leads the information needed to make an informed decision about your products and services. They are each powerful tools in the marketer’s toolbox on their own, but working together, they are even more powerful. Coordinated campaigns can help close deals faster and keep your brand ahead of the pack. Lead conversion can prove a tricky mistress, but inbound software has changed the way marketers interact with their prospective clients. They now reach customers through clever virtual workflows and smart targeting. Specifically, targeted CTAs can help convert the visitors to leads 42% more often than standard CTAs. A good CTA is a part of attraction marketing. Let’s look at how to use targeted CTAs to increase lead conversion. What is a “Smart” CTA? Targeted or smart CTAs convert visitors to leads by tailoring the content to a specific user. They’re based on segmented lists and what stage of the customer lifecycle they’re in. Basically, based on the data your lead generation software is provided, a smart CTA changes dynamically enabling your pages and calls-to-action to be more effective and targeted. If you’re not already using segmented lists, you may as well be throwing darts at an indiscriminate and undefined dart board. In other words, if your contacts occupy one single list or a small handful, then you’re really not leveraging your lead conversion software to the max. Start by creating filters that help define your buyer personas. For example, you may want to create a filter to put “C” level managers with 100-300 employees in a 3-state area in a specific list or perhaps you want to simply create a list where follow-up emails can be generated. In either case, making your lists and your leads more specific will definitely increase the effectiveness of targeted CTAs. Finally, let’s talk about getting personal with your leads’ CTAs. Not in a weird way, but in a way that can actually close some sales! Smart CTAs have the ability to change the copy on a CTA button or change the design based on the end user. If you’re selling chocolate candy bars to a potential customer, perhaps you want them to click the “Get a Free Sample Here” CTA at which point they become a lead and potentially a sale. On the other hand, however, your website may be entertaining an existing chocolate buyer who already loves your product. As a result, giving them a sample won’t necessarily get the job done nor further the value of your expertise as a chocolateer. This is where smart CTAs show their beauty. Instead of offering a sample, a smart CTA would show your existing customer the “There’s S’more to Chocolate” CTA. Here, they can learn about how to use your product to their advantage. While the example may seem silly, the fact of the matter is that both the design and copy can be altered based on the input of your CRM. Before any customer commits to purchasing a product, they will have to go through the sales funnel. The sales funnel is comprised of several stages that the buyer will go through, from identifying the problem they have to making a decision. In online marketing, the sales funnel expands from a prospective buyer to a buyer looking to purchase. Marketers are responsible for guiding prospective clients along the sales funnel until they eventually make a purchase. 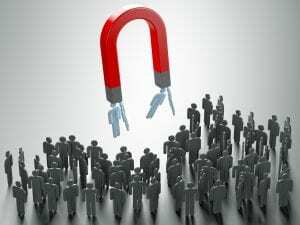 Attraction marketing is what will catch the attention of customers. Growing social media usage gives marketers a chance to engage their prospective buyers by creating customized content. However, some marketers still find it challenging to identify the most effective content for each step. The following is a guide to creating the right content to drive website conversions at each step of the sales funnel. Over 80% of buyers research products online before buying. The best way to attract them is by offering exactly what they need: highly optimized content with original research. Additionally, posting explainer videos that contain demonstrations can have a huge impact on your site. Lastly, create attractive landing pages to offer your visitors solutions at the click of a button. 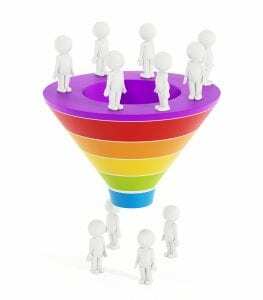 During the second stage of the sales funnel, buyers are trying to sort through their best options that you and your competitors are offering. It’s the seller’s job to explain why they are the best solution for the customer’s problem. The purpose of this section of the funnel is to highlight your expertise and begin the process of lead nurturing. The best content for this stage are webinars and live communication features. These give the marketers and customers a space to interact with live questions and discussions. Email marketing is also a great way to offer relevant and consistent content. Don’t forget to include clear calls to action that will convert leads. At the final stage, the buyer has decided they are ready to make a purchase, but they have not yet decided the source of their purchase. Providing them with access to the solution as well as some incentives will likely turn a prospective buyer to a customer. Clear calls to action linked to trial offers, video tutorials, and product information can have a huge impact on prospective customers. Aligning your offers with educational and entertaining testimonials is an effective technique. It’s also wise to creating a purchasable demo based on a free plan that entices customers to access its premium features. Above all, remember to consider your clients’ needs first. From there, develop your funnel in order to fulfill these needs at each stage. If the sales funnel is implemented correctly and your content is helpful to customers, your lead conversion rate will definitely increase. Case studies and customer testimonials are incredibly effective ways to convert leads into customers. They give leads a taste of how your company successfully worked with other clients. There are several important case study questions to ask yourself as you prepare to publish a compelling case study for potential clients. Below are 8 case study questions you can ask yourself as well as those who worked on the project. 1. What compelled the client to seek out your services? This is a great way to find out how the services of your company are resonating with potential clients. It allows you to gauge the effectiveness of your marketing message and how attractive it is to customers. 2. What initial challenges did you experience while working with the client, and how did you solve them? Working with each client is a unique process. Reflecting on the challenges your company has faced with this client can provide unique insights and areas to improve upon when working with future clients. If your company is able to portray a good working relationship with its clients, the potential customer will know they can trust you to accommodate their future needs. 3. What process did you follow to develop and implement these services? It’s vital to consider how your company implemented and catered your services specifically to the client’s needs. This insight can help you provide valuable details to potential clients when presenting the case study. 4. How did the client respond to your suggestions during the process? Potential clients seek information about how the process is conducted and how your company will help them achieve their goals. You can use this opportunity to reflect upon your client’s responses to your feedback during the process and to adjust your working relationship with your potential customers accordingly. 5. How did your ability to provide these solutions improve during the process? How was your company was able to grow the client’s business and improve it as a result of a particular project? Answering this question is a great way for your case study to communicate a message of continuous growth in your ability to provide services. 6. What were the results of the process? Find out if your customer was able to achieve his/her goals as a result of the process. You can then present these end results in your case study. 7. How has the relationship with the client been since completion of the project? Maintaining a strong business relationship with the customer even after provision of the service shows that your company takes customer satisfaction seriously and cares for the needs of its clients. 8. Did anything that you did not expect happen during the process? This question seeks to uncover any unique interactions that your company had with the client. There may be experiences your staff gained that can be crucial when presenting your case study in a compelling manner to potential clients. Reflecting on unforeseen events can also improve the level of services your company provides.